The Ports new logos honor Stockton’s heritage as the largest in-land port in California and the Asparagus Capital of the World. A new character, 5 O’clock Dock, is the centerpiece of the identity, brandishing his baseball tattoos and asparagus club. 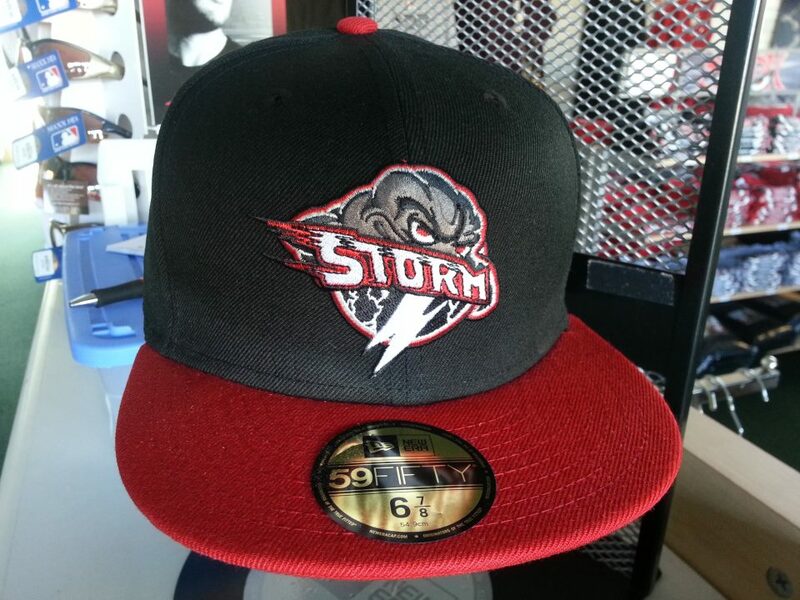 In other California League headwear news, the Lake Elsinore Storm announced last month that they are now selling 20th anniversary throwback hats that commemorate the team’s original look. 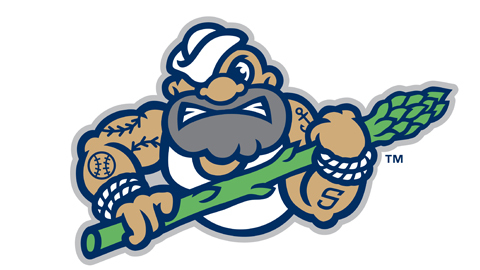 The Storm’s current “eye” logo has long been one of the most popular marks in Minor League Baseball, and that logo can be traced back to designs such as the above. (The eyes used to be part of a larger “Storm” motif, see?) Perhaps that’s a lesson for other clubs — take a particularly striking element of your current logo, then isolate and amplify. Sometimes a minimalist approach can work wonders. I’ve been posting less videos on this blog than I have in the past, partially because Twitter has become a good forum for that and partially because watching too many of them makes me feel as if my life is slipping away in slow motion right before my eyes. Was the fan who got his hat stolen planted there by the team? Almost certainly. Does it matter? Not at all. And since I’m posting videos, how ’bout this? In Pensacola, the Blue Wahoos have transformed their ballpark into a so-called “Winter Wonderland.” That’s not easy to do in the Florida panhandle! Finally, I’ll close with the following: the basketball trick shot dudes of Dude Perfect visited Frisco’s Dr Pepper Ballpark because of course they did. All of human history has led us to this moment. And that’s all I’ve got for today. I’ll see you in Nashville next week, should you be in Nashville next week.